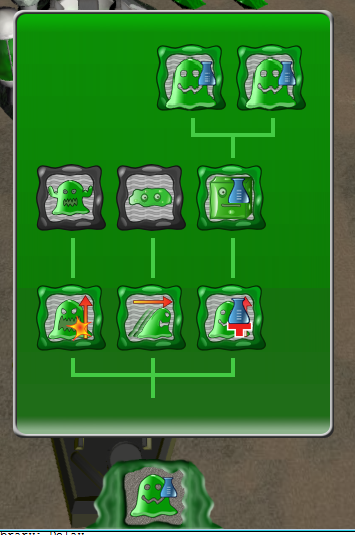 Hey could you please email me the code on as to how you actually used the Tree layout thing to display your tree as i am a beginner and am having a problem understanding how to use the library.If it is possible for you to please provide me with more detailed instructions on how to use it, I would be much obliged.Thank you! Sure thing. Some of the classes in this test are proprietary and I cannot share them, but they aren’t really needed to get the tree to work, and contain no code to help format the tree. Thanks a bunch for your time and for helping me!! Hello there. I stumbled on your blog and was wondering how you managed to draw the edges in your game. Unlike you I am using the jung library. I like the 1-M link from parent to children though and think it makes the tree look smarter than 1-1 edges. I’m sure the same implementation could be used to override jungs edge renderer and was wondering if you could provide any assistance. Hey there. 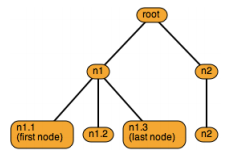 TreeLayout gives you rectangles for each node. Each rectangle has world coordinates so I just used their positions and drew the lines from that. I picked the middle of each rectangle tor draw the vertical lines. The vertical length was half the vertical distance between the nodes. Then I just drew a horizontal line from the left node to the right node. Hope that helps.